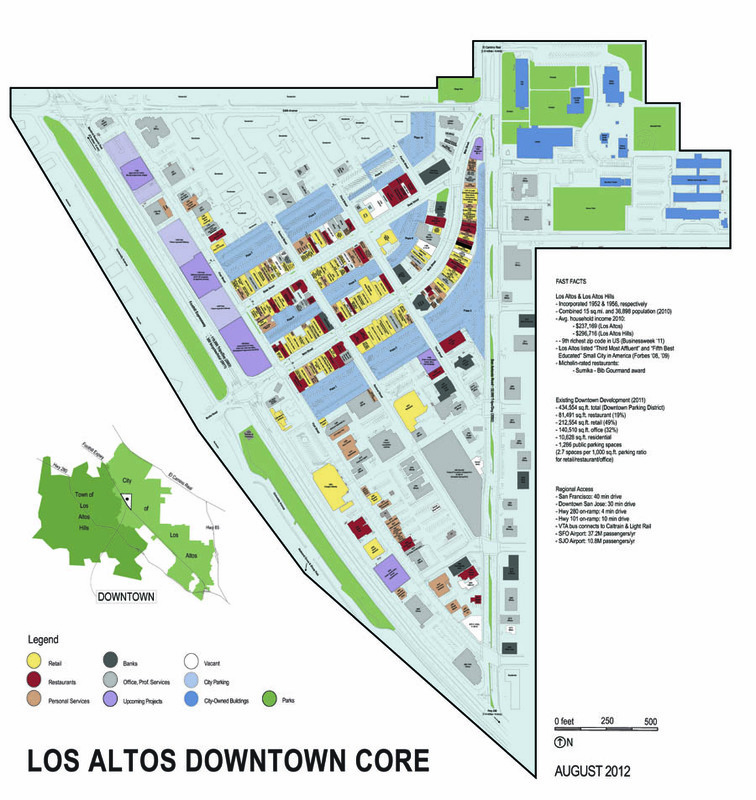 Since May of 2011, many concerned Los Altans have been gathering in vacant retail spaces in downtown Los Altos to experiment with ways to collaborate and improve the community – a local effort to advance the American experiment in democracy, if you will. Organizing events the First Friday of each month. Organizing Community Conversations for members of the community to meet experts and learn about ways to enhance the downtown core, including former Redwood City Manager Ed Everett, Project for Public Spaces Founder and President Fred Kent and Vice President Kathy Madden, and Architect William Maston. Provided testimony on the Final Environmental Impact Report for South Parking Plazas 1, 2 and 3, which encouraged the City to increase community involvement in the process of developing a possible Request For Proposals for the public/private development of those plazas. Helped to save two old London Plane (hybrid Sycamore) trees on First Street that the City planned to cut down as part of the First Street Streetscape. And, perhaps most importantly, encouraged community-wide participation from residents of all ages of Los Altos and Los Altos Hills, property owners, business owners, City Council members, City staff, City commission members, and members of various organizations, including LAVA, the Chamber of Commerce, LANN, and GreenTown Los Altos. The fun, constructive sharing of ideas and the turnout of people who want to improve Los Altos has been overwhelming. Los Altos Forward meets the first and third Tuesday of each month to advance ideas on how to increase the vibrancy of downtown Los Altos. We invite you to join this local contribution to the American experiment in democracy – an experiment in how Los Altans can effectively form associations to collaborate to improve the community. All members of the community are welcome. For information about upcoming gatherings, send an email to info@LosAltosForward.org. Posted in Urban Planning and tagged downtown, Urban planning.